CINCINNATI — People moving throughout the city's Central Business District should expect traffic flows to begin changing over the next several months, and the changes have been a long time coming. 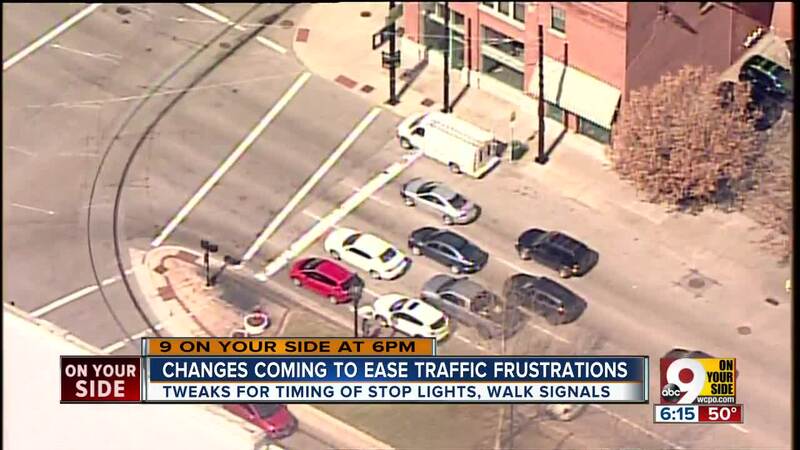 City transportation officials Tuesday afternoon presented results of three different but concurrent studies analyzing traffic signal patterns and how curb space is utilized throughout Downtown. It was the first time the city had performed a comprehensive review of the business district's traffic flow in more than 20 years. Chief among the coming changes are adjustments to intersection signal cycle lengths — that is, how long green lights stay green for vehicles. Time dedicated to allowing pedestrians to cross will increase by 15 percent, and the time dedicated to allowing vehicles to move through the intersections will decrease by 15 percent. "Pedestrians will have more time in the crosswalk based on the new standard," said Department of Transportation and Engineering director Joe Vogel. The city will also test a pedestrian-leading signal, which will let people begin crossing before vehicle traffic changes over to the other direction. In the same report, DOTE transit planner John Brazina recommended adding a streetcar signal at four more intersections throughout Downtown. Doing so would require City Council's approval and about $80,000. City Council ordered the traffic signal study in fall 2016, just a few weeks after the streetcar launched. Getting stuck in traffic congestion quickly proved a challenge after beginning public service, causing delays, especially during the morning and evening rush hours. Pedestrian safety has become a more significant priority for lawmakers in the time since; neighborhoods across the city began making requests for improvements to their traffic signals, crosswalks and other pedestrian infrastructure. The city also will also recommend evaluating the Cincinnati Metro bus stop layouts along Fifth and Main streets and Central Parkway, as part of the transit agency's bus stop optimization program. One of the curb analyses was performed in conjunction with the ride-share giant Uber as part of the Cincinnati Mobility Lab. 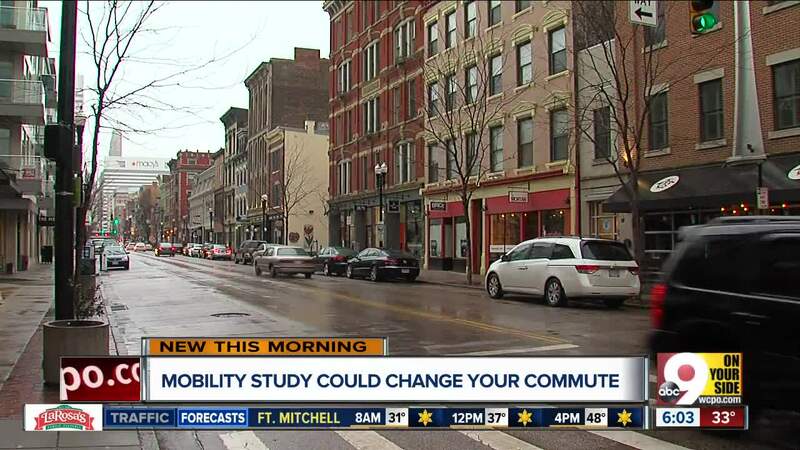 That study focused on three areas where ride-share or transit activity is high: Second Street between Main and Walnut, Freedom Way between Marian Spencer and Joe Nuxhall, and Walnut between Sixth and Eighth streets. "Our goal is to make sure we're using our curb space as effectively as possible," said Dan Fortinberry, director of the city's parking services. That study recommends designating or updating existing pick-up/drop-off areas for ride-share customers at those locations.